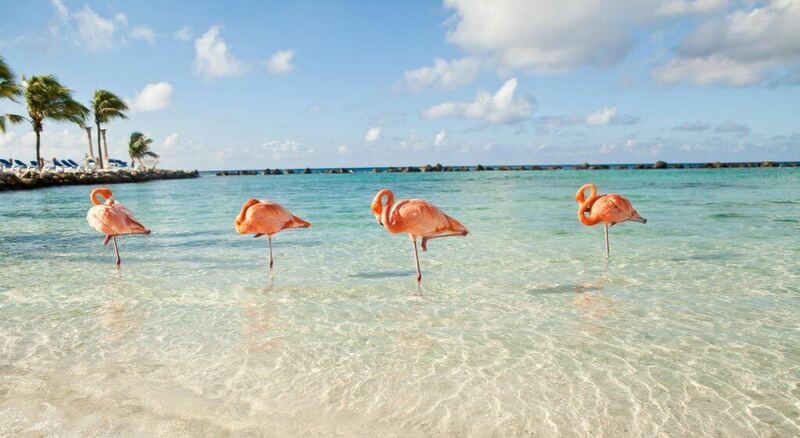 Aruba sits south of the hurricane belt just off the coast of Venezuela. 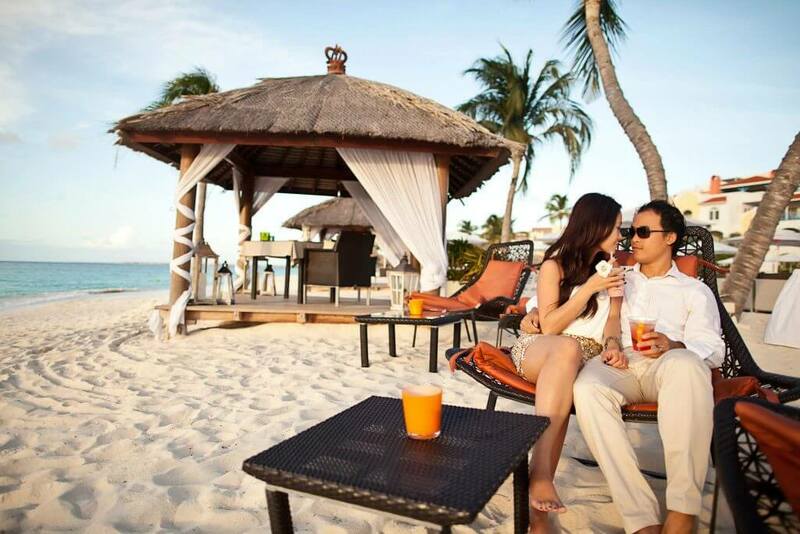 This means that you can almost guarantee a suntan and no rain out, every day, of every week, all year long. 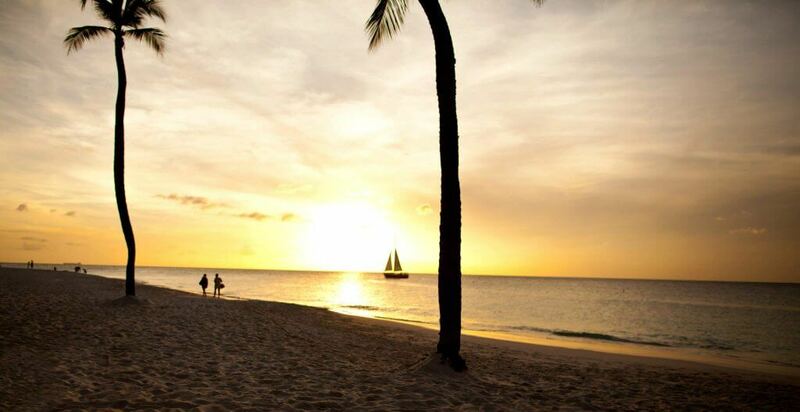 The island only gets 20 inches of rain per year and is famous for its trade winds, it’s a wind surfer’s paradise, so even in the heat, it’s comfortable. 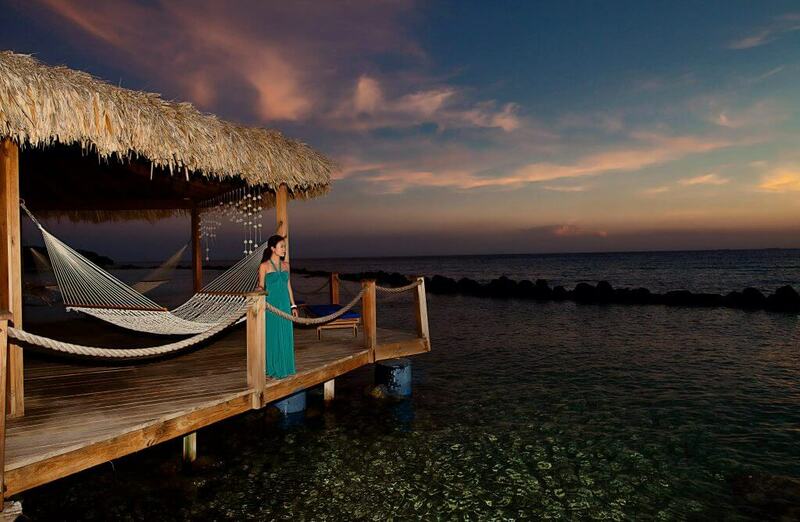 Private island, beautiful lagoon, over-water hut, 2 hammocks (so we don’t have to fight each other), magnificent sunset were a few of our favorite things in Aruba. 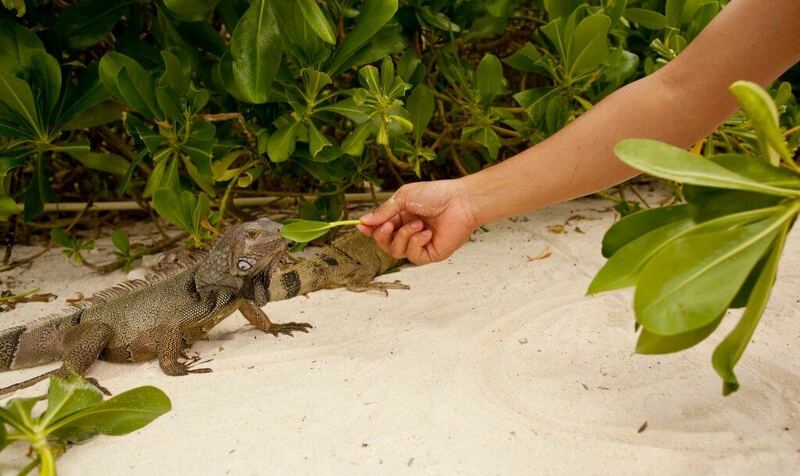 At noon, iguanas crawl out from all the bushes to the beach for lunch. 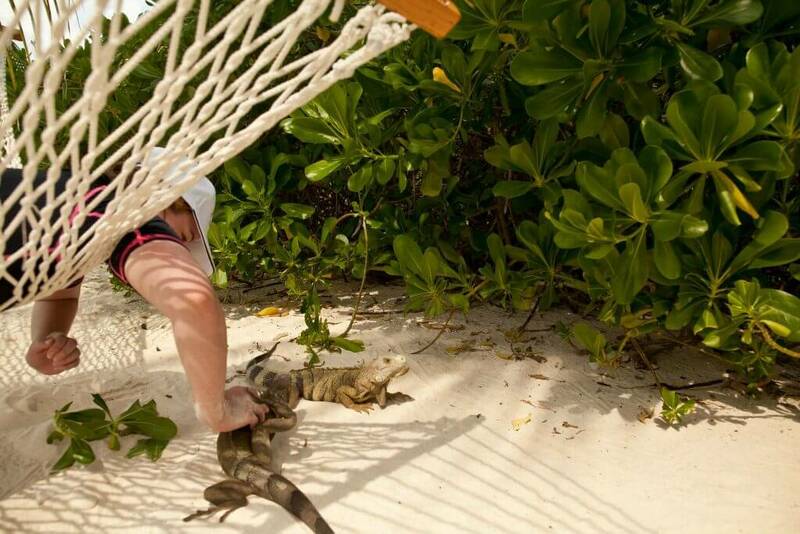 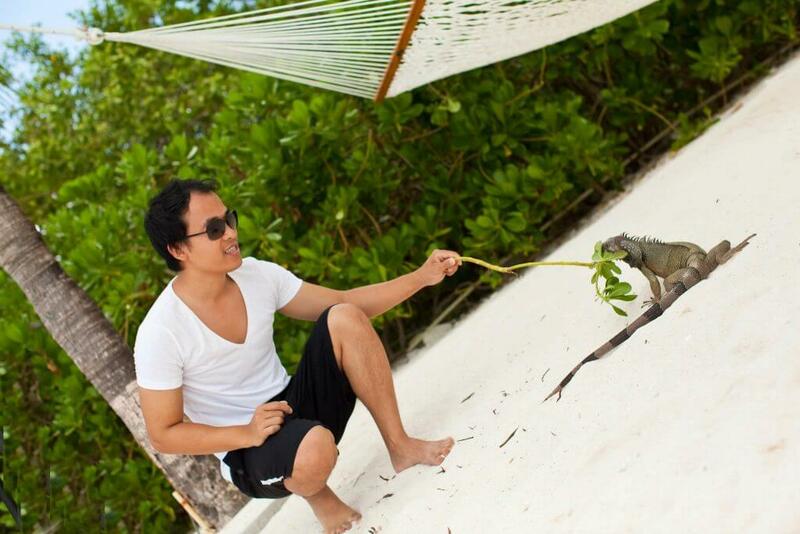 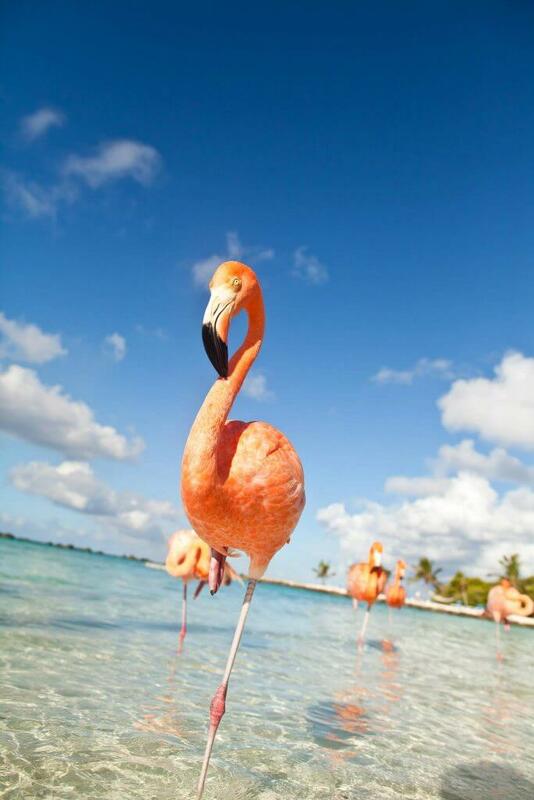 If not playing with flamingos, then we play with iguanas …never feel closer to nature. 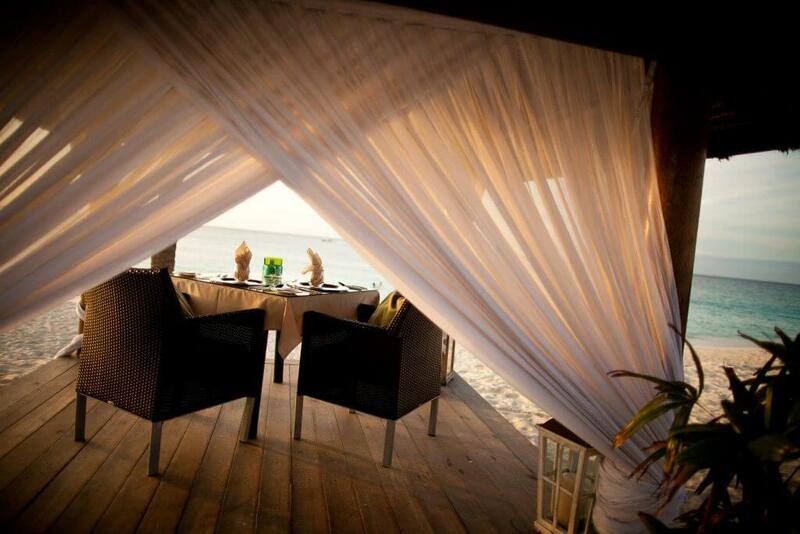 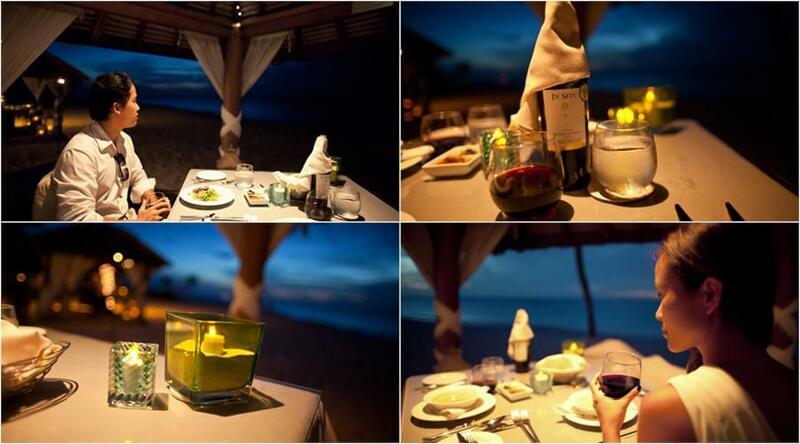 Dinner with spectacular sunset view in our private cabana was so romantic and magical! 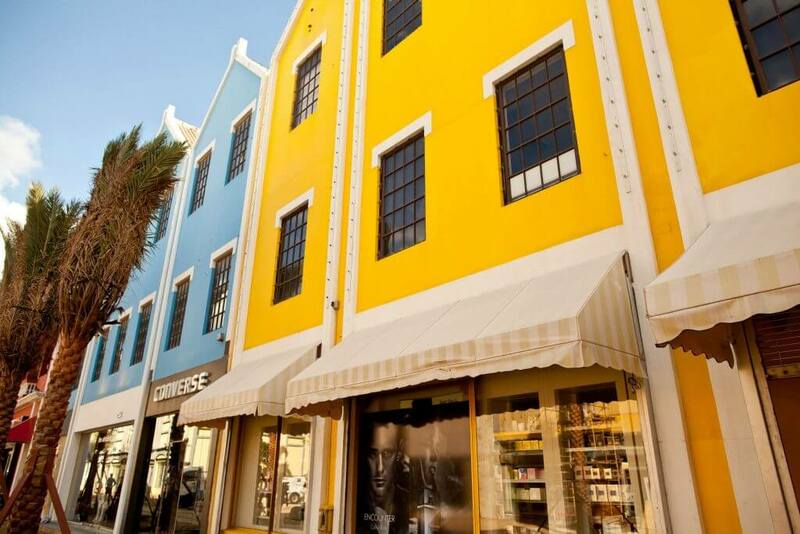 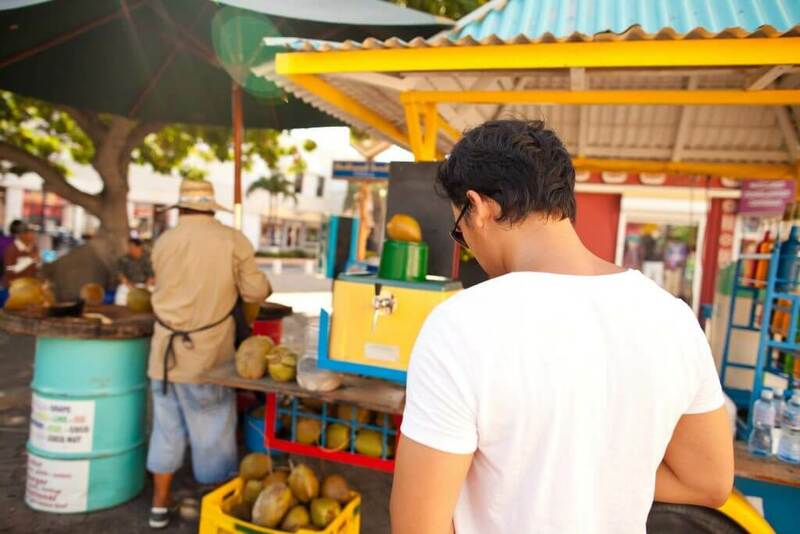 It’s so fun to explore Oranjestad in daytime. 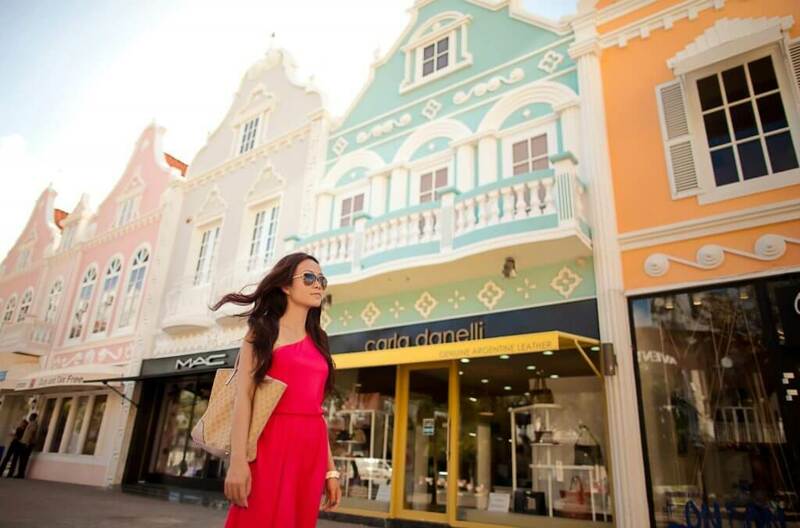 Oranjestad is the historical Dutch capital city where the tall multicolored houses combine carved wooded doors, traditional Dutch tiles and Aruban-style roofs. 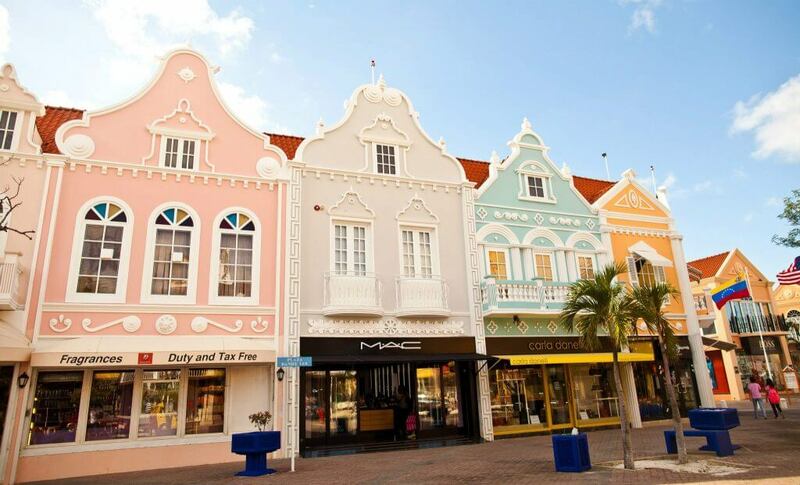 The island’s colonization by the Netherlands shows in Oranjestad’s Dutch colonial architecture. 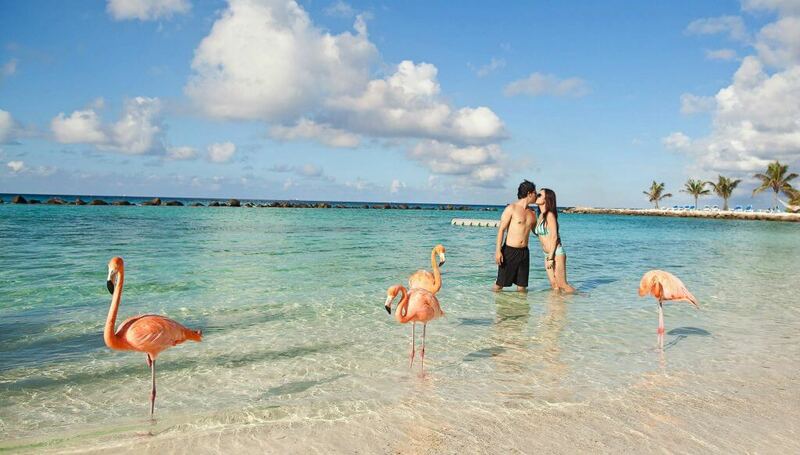 Aruba is just a perfect getaway spot for couple.